Winkler Knives Spike - Maple & Caswell is a culmination of master craftsmanship and experience working with members of Special Operations Military units from around the world. The Spike was designed to handle both the regular uses of a tactical knife and the unique emergency scenarios that may occur during missions. The overall length of the Spike is 10" and it has a blade length of 5 1/4". This drop point fixed blade knife weighs 6.5 ounces and is a workhorse for anyone in the military and in particular those in Special Forces, the Navy Seals or assigned to perform special operations and tactical maneuvers. 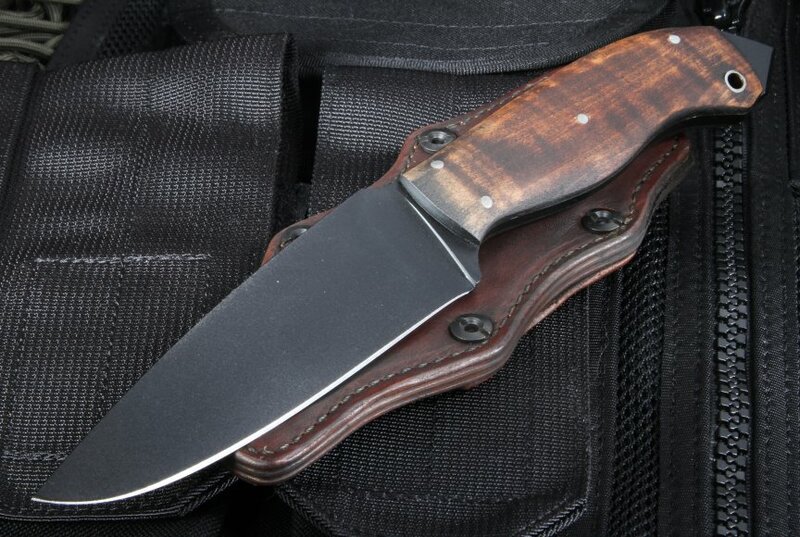 Blade strength and durability is provided by the unique stock removal process and the use of 80CRV2 High Carbon Steel. With a blade thickness of 0.20", it can hold a razor sharp edge and is easy to sharpen in the field. It features a black Caswell non-glare finish with full tang balanced and centered construction. The caswell finish that helps prevent rust on the surfaces that it covers. This knife is first and foremost a working tool. The handle is made of premium maple with a perfectly placed lanyard hole. Another great feature are the contours in the handle that make it comfortable to use even in a reverse grip. For the situations that require prying and breaking glass the tang is exposed and a integral guard provides protection. 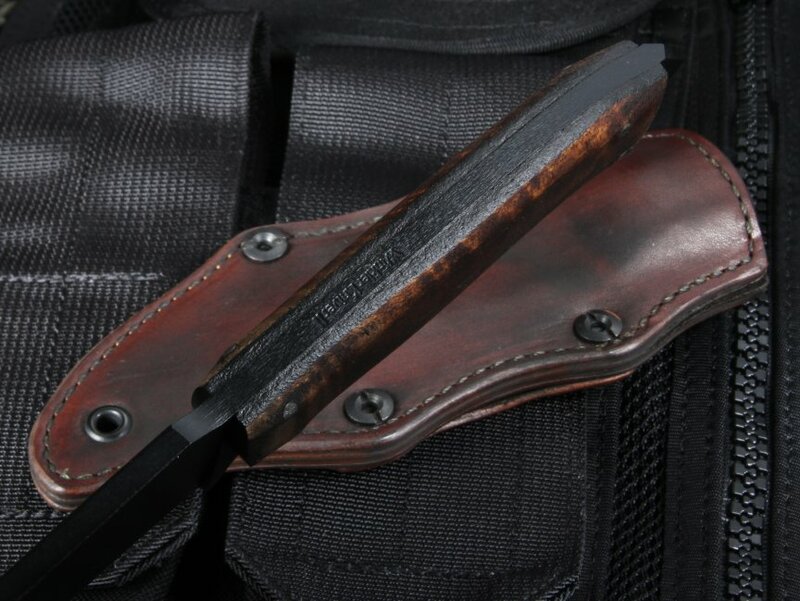 A custom brown Kydex lined leather sheath comes with this knife and compliments the maple brown handle well. For the most serious tactical missions and battlefield readiness, the Spike Maple & Caswell knife by Winkler is a reliable, durable and useful tool for anyone in the Military and specifically those with special operations duties such as Navy Seals and Special Forces.